This original illustration is inspired by the story of 'The Little Match Girl' by Hans Christian Anderson. 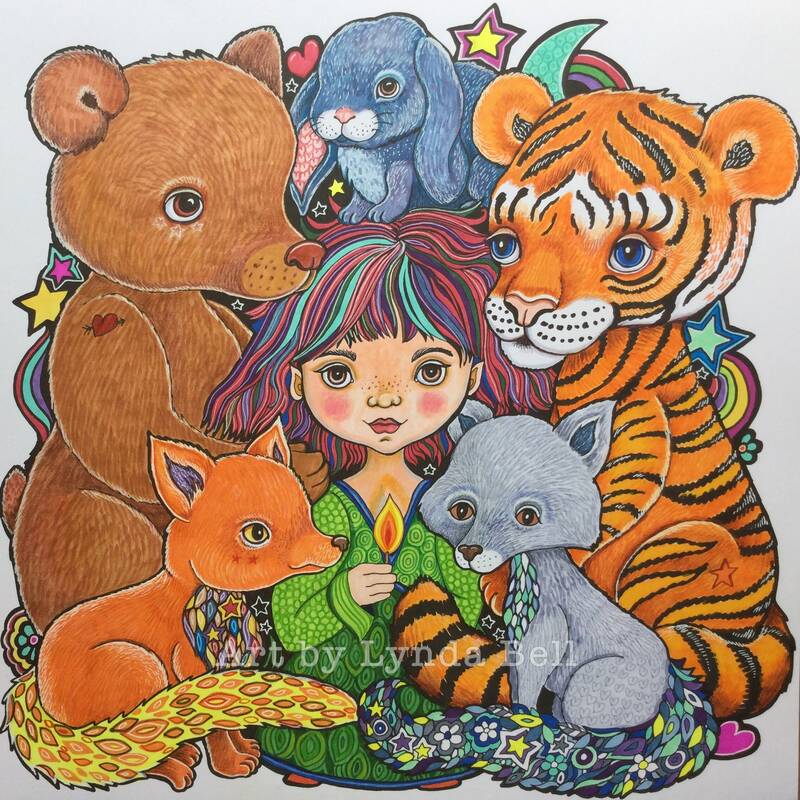 My adaptation has a positive spin, where the little girl is kept warm by her animal friends. The flame from the match is a symbol of hope and prayer for all animals and for the compassion and goodness within all humanity. Humans are often more focused on what animals can provide for them in terms of food and clothing and sport, without remembering that animals are much more than that. In this illustration, the animals are providing comfort and warmth to a human in need - anybody with an animal family member knows that animals give this to us unconditionally and the world would be an empty, sad place without them.